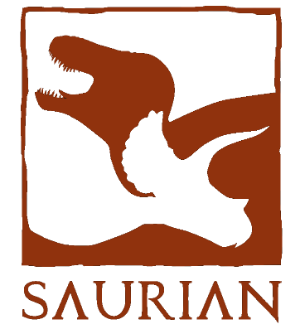 Saurian is an simulation video game created by Urvogel Games, focused upon accurately simulating the natural ecosystem of the Hell Creek Formation in an interactive. Since you last heard from the Saurian programming team, we've been busy with work that's either a) not ready to be shown yet or b) not very interesting to read about unless you're a game developer. As far as AI goes, one of my focuses has been steadily fixing bugs, balancing, and fleshing out the behavior for the animals. This is a very time consuming, often frustrating process--but all the frustration is outweighed by how awesome it is to see the dinosaurs doing their thing in the end. This week, I wanted to share a couple scenes I threw together, showcasing some new dromaeosaur hunting techniques, among other things.